Asking Price: £175 (free worldwide shipping). Click the POA button below to place your order. 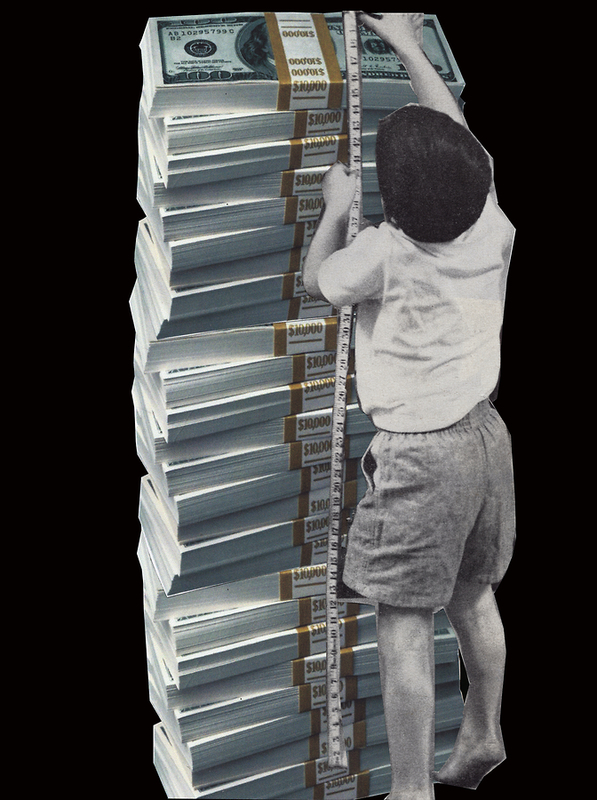 “$tackin Paperr (Black)” focuses on wealth and power illustrated by a small boy, standing on tip-toes to measure an enormous stack of $100 bills. The collaging together of the two, disparate images, against the hard-black background is arresting and compelling: a powerful commentary on consumer culture in the United States.